Palbociclib is used to treat a certain type of breast cancer in women. It is a chemotherapy drug that works by slowing or stopping the growth of cancer cells. What conditions does Ibrance treat? Tell your doctor right away if you have any serious side effects, including: signs of anemia (such as unusual tiredness, pale skin, fast heartbeat), easy bruising/bleeding (such as nosebleed). List Ibrance side effects by likelihood and severity. Tell your doctor if you are pregnant or plan to become pregnant. You should not become pregnant while you are using palbociclib. Palbociclib may harm an unborn baby. Women of childbearing age should have a pregnancy test before starting this medication. Women of childbearing age should also ask about reliable forms of birth control while using this medication and for at least 3 weeks after stopping treatment. If you become pregnant, talk to your doctor right away about the risks and benefits of this medication. What should I know regarding pregnancy, nursing and administering Ibrance to children or the elderly? Does Ibrance interact with other medications? Should I avoid certain foods while taking Ibrance? Laboratory and/or medical tests (such as complete blood count) should be performed before you start treatment, periodically to monitor your progress, or to check for side effects. Consult your doctor for more details. If you miss a dose, skip the missed dose and resume your usual dosing schedule the next day. Do not double the dose to catch up. 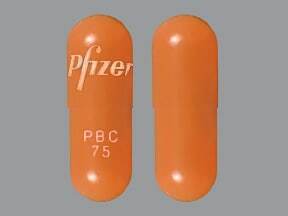 This medicine is a light orange, oblong, capsule imprinted with "Pfizer" and "PBC 75". 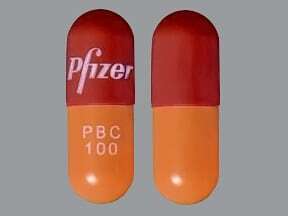 This medicine is a light orange caramel, oblong, capsule imprinted with "Pfizer" and "PBC 100". 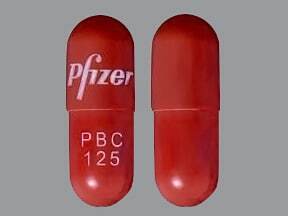 This medicine is a caramel, oblong, capsule imprinted with "PFIZER" and "PBC 125". Are you considering switching to Ibrance? How long have you been taking Ibrance?